PJSC Ukrgasproduction and Shell announced about termination of exploration works within joint operation agreement between the two companies. Based on the gained exploration data the parties agreed that further activities within the project is not economically feasible and decided to terminate the agreement. 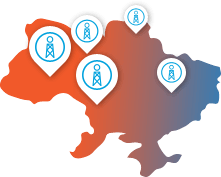 Two wells drilled within the project Biliiavska-400 and Novo-Mechybelivska-100 will be abandoned.